The Dansko Ivory Suede from the Honey collection. Honey outfits your day with a sweet combination of sporty style and feminine flourishes. 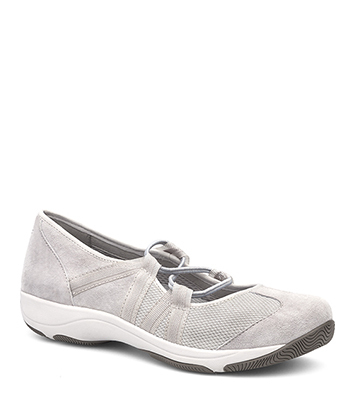 Showcasing Mary Jane influences, this micro-mesh/suede sneaker includes an elasticized infinity loop for a more comfortable fit.